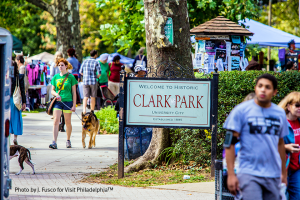 Editors Note: Since Philadelphia is known as a city of neighborhoods, we asked Temple Law students, faculty, and staff to talk about what they love, hate, and can’t live without in their neighborhood. 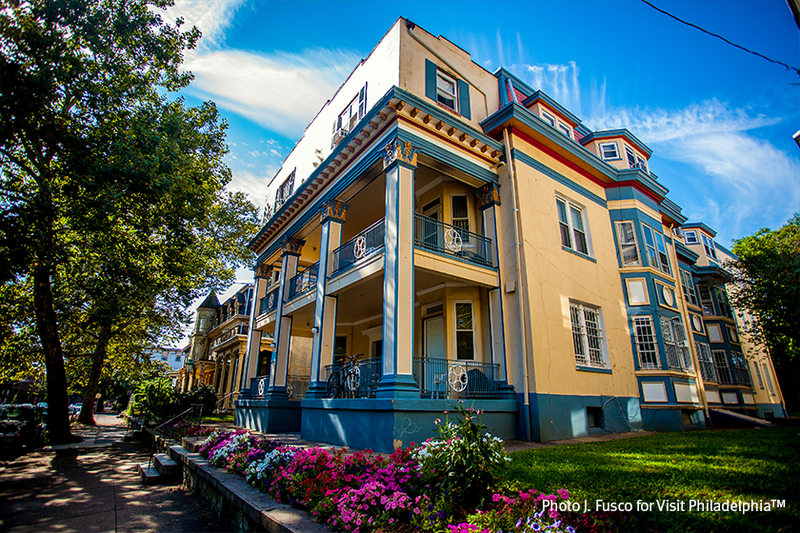 Each month, we’ll release another write-up of a new Philly neighborhood. See every neighborhood covered thus far. When I began to search for places in West Philly, I was pleasantly surprised by how much bang for the buck I could get in the area. I settled on a one-bedroom Victorian with hardwood floors, my own free washer and dryer, a private back yard, a private basement, a front porch, central air and heat, and a beautiful original fireplace. My street is so calm that the kids on my block play baseball on it in the summer. The neighborhood is awesome. There are conveniently located grocery stores and amazing food options within walking distance. The prices are a lot cheaper than restaurants in Center City, which I consider a bonus. One of my favorite places is Dock Street Brewery, which is a restaurant that brews its own beer in-house and makes delicious wood-fired pizzas. There are also many wonderful coffee shops in the area that are great for studying. I also live about three blocks from Clark Park, and there are always exciting events happening there. In the summer, they put a huge movie screen in the park and project free movies. When it snows, a lot of the neighborhood goes sledding in the park. I am also close to Woodland Park, which is great because I am an avid runner and it has a popular running trail around the perimeter. It’s a toss up between the green space and the sense of community. Sometimes I wish I lived closer to campus. I take the 34 trolley, then I take the free transfer to the Broad Street Line at City Hall. There are two ways to get in and out of West Philly: the Market Frankford Line and the trolley. I live about a block away from the trolley stop, so it’s convenient for me to get to campus by taking the trolley and then transferring to the Broad Street Line. It’s about a 25-minute trip from when I walk out my front door to when I walk into Klein Hall. There are also bike lanes located on Spruce and Baltimore Avenues, and several bus routes that connect to Center City. It would be foolish of me to not include the fact that the neighborhood has substantially gentrified over the past 10 to 15 years. My neighbor owns her home and has lived there for 40 years. I’m glad that she has been able to keep her home, but many others have been displaced due to rising costs of housing. It also does not escape me that I am one of the beneficiaries of this gentrification process and that I can live in my apartment because someone, not that long ago, had to leave it, possibly because they could no longer afford it. This is the reality not only in West Philadelphia, but also in the city as a whole. In my very biased opinion, West Philadelphia is the best place for a student to live in the city. I love living in a neighborhood that has a real community vibe; plus, it is straight up beautiful. Students, myself included, are attracted to the area because it is affordable. This affordability, however, is made possible by the complicated issue of gentrification, which affects the entire city, and has no easy solutions. It’s a topic that I struggle with all of the time. I benefit from a system that displaces a lot of low-income, systematically oppressed people, but at the same time I feel fortunate and grateful to live in a neighborhood that I love.